Sell Fast, Avoid Foreclosure. This should be every seller’s mindset when determining whether or not to put their property on the market. 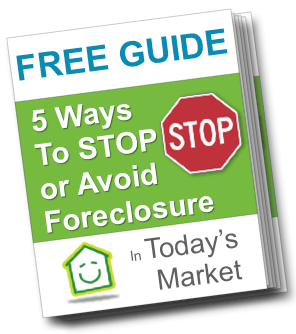 Foreclosure is the legal process that retrieves the right of a mortgagee to make further redemption on his mortgage due to failure on his part to keep up with his payment responsibilities. It is one ugly situation that any loan recipient wouldn’t want to be found in, as it brings severe consequences. As a result of this, whenever homeowners sense that a foreclosure is impending, they do that is in their power to sell off their houses. This kind of property owners are not even after profit as they sell, it is not on their minds by any means. They just want to cash in as quickly as possible. Whenever you find yourself in such circumstance, have it in the back of your mind that there are just a few things working in your favor, and you are to use them to the best of your ability. What are these factors? Never Expect To Sell For Profit: In a situation like this you aren’t looking for any gain, so lower your gaze and get less greedy. Though a few of such individuals might get lucky once in a long while to find a buyer who has the money and is ready to buy the property for the actual value or even slightly higher. The truth is that it hardly happens that way. You might have bought your house for far more than it is presently going in the present day market, but you have no choice here. So, set the price lower than it should be. Your aim is to sell it off as fast as you can so that you can avoid a foreclosure which will blacklist you for years to come as being non-creditworthy. Increase Your Speed By Decreasing Your Price: The higher you place the value of your about-to-be foreclosed house, the longer it stays on the market that is if it ever gets sold at all. You are not in the position to compete in price with the normal home sellers. So you should request for a Comparative Market Analysis (CMA) from an estate agent. Look for the current value (price in the last few months) of similar properties in your neighborhood, and then drop your price by about 10% or 15%. It is only then that you can woo many interested buyers to come in your direction since it looks like a good bargain. Incorporate Your Lender To Understand The Details Of The Sale: This option is for those who owe more than the value for which buyers are willing to pay for their house. You cannot sell off your home above its current worth because the amount that you owe is not related to the buyer in any way; it’s in your private life. When things turn out this way, get the lending institution involved and apply for a short sale. Ask them if your house value is up to the lowest possible they can take. A short sale might not be good for your future financial dealing, but it is far better than a foreclosure hitting you. Carry Out An Efficient Marketing Move: The good thing about media is that the specifications of your house are listed so that those who need exactly what you offer do come to you. One last thing is that you post many pictures of your property. Never underestimate the power of photos; most times they impose a greater marketing impression than the write-ups. Upgrade The Appearance Of Your Building As Much As Possible: In your condition, you cannot afford to spend recklessly, so we are not proposing many expenses. However, you might need to spill out some little money to enhance the state of the house. Do not forget that people are attracted to what they see. Hence, you must clean up the entire place and keep it tidy at all times. Replace the cracked or broken tiles, paint the place, and fix broken pipes to put you more in the advantage during the price negotiation. If you ignore this, you may get no buyer at all. Alternatively, you might upgrade and get fortunate enough to sell for more than you expected. Hope you see why you should take this seriously?